In addition to java.net projects such as GlassFish, Shoal, and Jersey, here's just a few external organizations using Grizzly in their projects. If you'd like to have your project listed, drop us a line on our mailing lists. "My company, Wellfleet Software, is using Grizzly in our WellGEO RegRep product implementing a Geospatial Registry and Repository based on ebXML RegRep 4.0 standard. The Grizzly project is used to implement an embedded web server to host a Subscriber endpoint for PubSubHubBub protocol. One specific application of this Grizzly-based Hub Subscriber is in our Administration UI application where the UI is kept synchronized with changes in the server by receiving notification of changes from the server as an Atom feed. The Grizzly project provided an efficient and effective solution to synchronize any client to data changes in our WellGEO RegRep server. We are particularly pleased with the quality of the Grizzly project and with the responsiveness of the dev team. Thank you for the good work on Grizzly." "I just wanted to inform you that that we released OX App Suite 7.0.1 last week . This is the first version that offers the option to install Grizzly as part of the backend. An overview of how Grizzly is used within OX App Suite can be seen at , i thought you might be interested in this. OX App Suite is free (GPLv2, CC BY-NC-SA 2.5) and easy to install , so feel free to take a closer look. Besides that I wanted to thank you for being an awesome upstream. Alexey and Ryan, thanks for the great responses to my questions and bug reports." "We are using Grizzly 2.3 at ForgeRock as part of our Open Source OpenDJ Project (formally the Sun OpenDS project) which implements a high performance LDAP / HTTP based Directory Server. We use the Grizzly IO Framework in our LDAP client/server SDK as the asynchronous IO layer. We also use the Grizzly HTTP Servlet module in the next version of our Directory Server as the embedded Servlet container for our REST to LDAP service. We are pleased with the performance and quality of the Grizzly project, and especially the helpfulness and responsiveness of the Grizzly developers!" I would like to share Grizzly's use-case of our company, Kakao Corp. in South Korea. 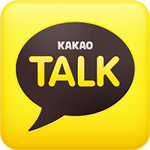 KakaoTalk(which is a product of Kakao company, http://en.wikipedia.org/wiki/KakaoTalk) is South Korea's No.1 mobile messenger. Grizzly 2.x has been used for all sorts of things in our company. Thrift servers(more than 300 servers) based on grizzly-thrift. Before using grizzly-thrift, servers used a thread pool model with Blocking IO. In many connections, thread resources were wasted and scalability/throughput was somewhat poor. Memcached clients(more than 300 servers) based on grizzly-memcached. Before using grizzly-memcached, we used xmemcached or spymemcached which are clients of memcached. Though xmemcached and spymemcached already have NIO model and various optimization logics, there were some scalable problems in many concurrent requests and high load of real world unfortunately. AJP/HTTP servers(more than 80 servers) based on grizzly-http and grizzly-http-ajp. Before using grizzly-http/ajp, we used ruby-on-rails for web-front. When I moved this into grizzly, I experienced enormous performance improvement. Finally, we could reduce expenses for web servers. Custom grizzly messaging filters(more than 80 servers) for communicating our internal messaging system. The above systems related to Grizzly project have been very stable and scalable (for over a year now)!